Simple to sell, easy to redeem, and packed with powerful marketing features unavailable with traditional gift cards. 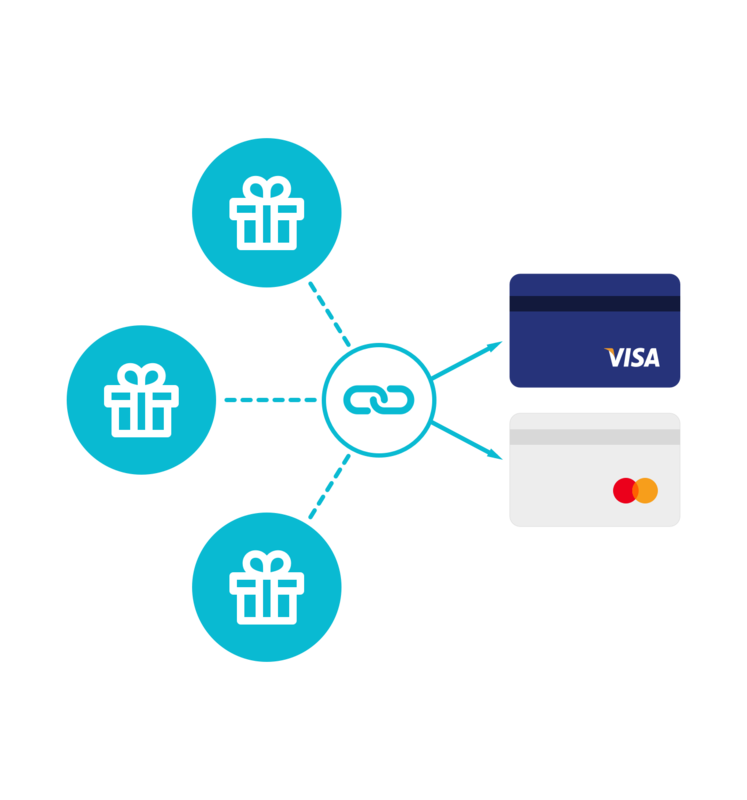 Wonder turns the debit and credit cards in your wallet into gift cards that are instantly delivered and redeem automatically. 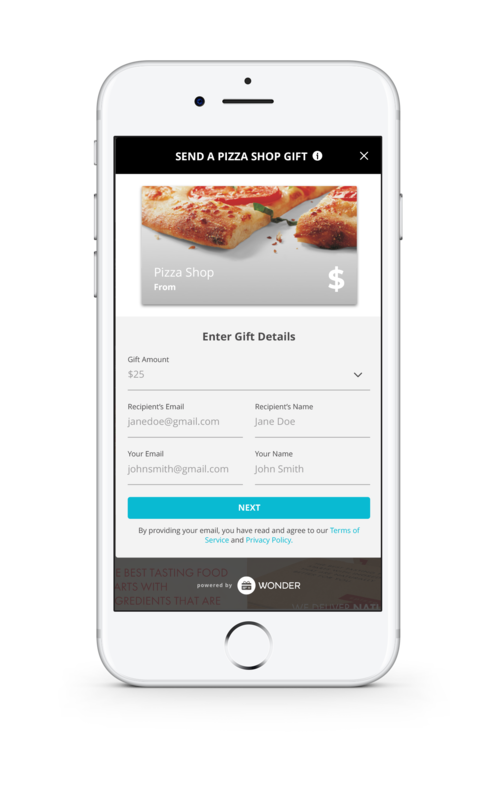 Simple to sell, easy to redeem, and packed with powerful marketing features unavailable with traditional gift cards, Wonder turns the debit and credit cards in your wallet into gift cards that are instantly delivered and redeem automatically. No plastic cards to carry or coupon to print. There's no app for your customers to download, no plastic gift cards to carry and no coupons to print out. Redemption is seamless, no POS integration or staff training is necessary. Customers can swipe, dip, or tap-and-pay. Gain access to robust data and analytics, track customer spend and preferences on an individual or campaign level detail, evaluate ROI and more. Easily sell eGifts on your website that can never be lost or forgotten. Unlike traditional gift cards, it's easy to track all purchases, activations and redemptions. Gone are the days of sending impersonal generic gift cards. Engage your customers and employees with relevant, thoughtful gifts that are appropriate for your business, all while keeping your brand top-of-mind. Extend the reach of your gifting program with placement on the Wonder Marketplace. Get increased distribution without the costs of traditional gift card programs. Gone are the days of sending impersonal generic gift cards. Engage your customers, employees and other important people with relevant, thoughtful gifts that are appropriate for your business, all while keeping your brand top-of-mind. Wonder gifts get linked to the credit or debit cards already in your customer's wallets. They can link their gift to one card or several, so it's always with them and securely stored. No more gift cards left at home in a drawer, paper to print out, app to download or barcode to show at checkout. Get in touch to schedule a demo.